She’s going to love it !! Beautifully done. That is adorable. Love the accent around the brim. Works better from the outside in. 😊 I agree, but she’d started searching for the outside tail too and had pulled some of the strands out of their color’s band and they got mixed in and under some of the others. Thankfully only took about 10 minutes to find the center tail & unwind the mess she had. Did call her and asked if she wanted it back. She said NO!, very emphatically. 😳😆. Ah well. Back when I did a lot of bead knitting (craft fairs back in the 80’s) on purses etc., I loosened the carriage dial 1 or 2 clicks depending on the stretch ability of the yarn. This was on th Brother 890 standard. Thanks for posting that link. Bookmarked it and will print out & add to my notebook. Thanks, Macon. Beautiful work. Shouldn’t be troublesome to convert to machine knit. I think LeAnnco is also on Etsy? Seems to me I got something from them several years ago. Has anyone ever used this #4 yarn on their machine? Says itâs #4, but feels like #3 to me. 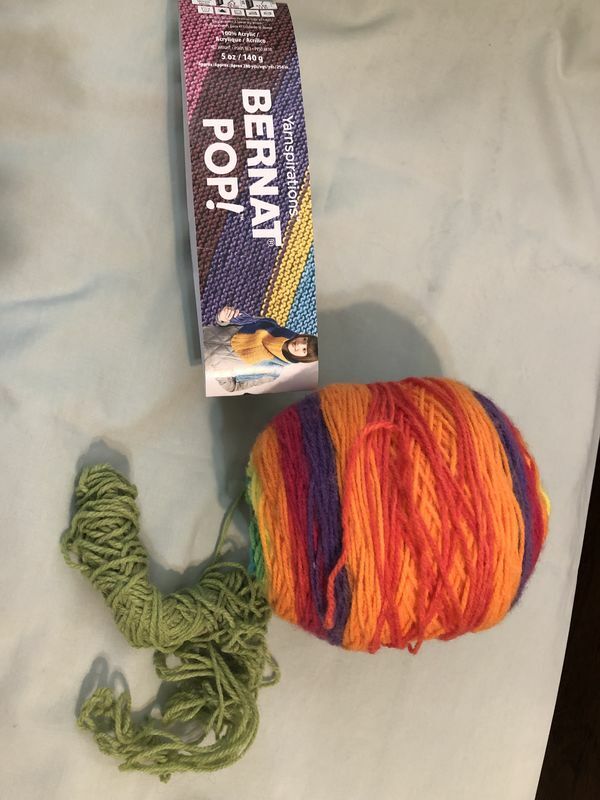 Friend of mine bought this and tried to find center pull strand. Got frustrated and gave it to me. Now I get to untangle what she pulled out. LOL. I don’t care, free yarn. I am going to rewind into balls. There are 5oz so 2 balls probably. Would like to hear any comments on this yarn. It’s really not wound very well IMHO. PS: Found grand daughter’s swimming goggles and will be wearing them when winding to prevent yarn fuzzies in my eyes. Thank you ALL for your prayers, best wishes and your insights into cataract surgeries! I've not been online much the past few days with other Doctor (non eye related) appointments and such. I'm feeling much more confident about these surgeries now, thanks to all of you. Bless you all, my dear KP friends. Praying all goes well for you. That is sad no yarn for a couple of months. Will you be able to read?